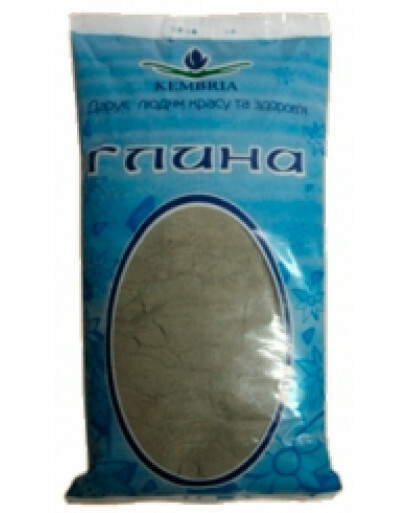 Blue cambrian clay powder for internal and external use. Ingredients: natural cambrian clay powder. Note: cambrian clay is most effective if it doesn't come in contact with metal before use. Mix with wood, plastic or glass for best results. Brew the herbal tea and let cool slightly, make sure all herbs are strained out. Pour tea and apple cider vinegar in a blender, food processor or non-metal bowl. Start adding clay a tablespoon at a time while blending or whisking to incorporate it. Keep adding clay until mixture is smooth and about the consistency of yogurt. Add essential oils if using and mix in. Store in an air-tight container in the shower for up to a week. To Use: Wet hair. Starting at roots, massage a handful of the clay mixture into hair and work down to the roots. Repeat until all hair is coated. Leave 5 minutes or up to 20 minutes (do not let dry!) and rinse out with warm water. optional: Rinse with a cup of herbal tea with 1 tablespoon apple cider vinegar added. Anticellulite body wrap with cambrian clay. Clean the skin with a scrub or peeling with sea salt or seaweed extracts. You can massage problem areas using a scrub. The mixture for wrapping should be smooth and elastic; otherwise you will not be able to apply it to the skin. The mixture is applied in thick or a thin layer on problem areas – thighs, buttocks, and abdomen. Wrap the treated areas with a plastic film for it to warm up and better absorb the microelements contained in the mixture. The film will retain heat and not allow the mask to dry. Then wrap yourself in a blanket, or a sleeping bag, if you have one. Some wraps require moving. Wash off the remains of the wrap in the shower, and you can take a bath with sea salt afterwards, and then apply anti-cellulite cream or a tonic. The course of home wraps should include 5-10 or more procedures. It is best to repeat them every two days. There are contraindications to the procedure – consult with your doctor.